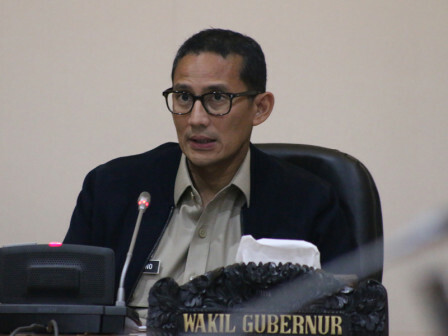 After passing on the repair and arrangement process, Jakarta Deputy Governor, Sandiaga Uno encourages local citizens to jointly maintain the aesthetics of the sidewalks along Jalan Sudirman and Jalan MH Thamrin.
" Everyone must be involved, I will invite the pedestrian communities, runners, and bikers"
"Everyone must be involved, I will invite the pedestrian communities, runners, and bikers. We must keep the beauty of the sidewalk," he expressed, Tuesday (7/17). Even, he wants to dispatch PPSU personnel to arrange sidewalks of Jalan Sudirman and Jalan MH Thamrin. It is targeted to be finished on July 31, 2018. "I've checked it at 9 AM, the execution is still on the track," he said.